Mich wundert, dass ich so fröhlich bin! 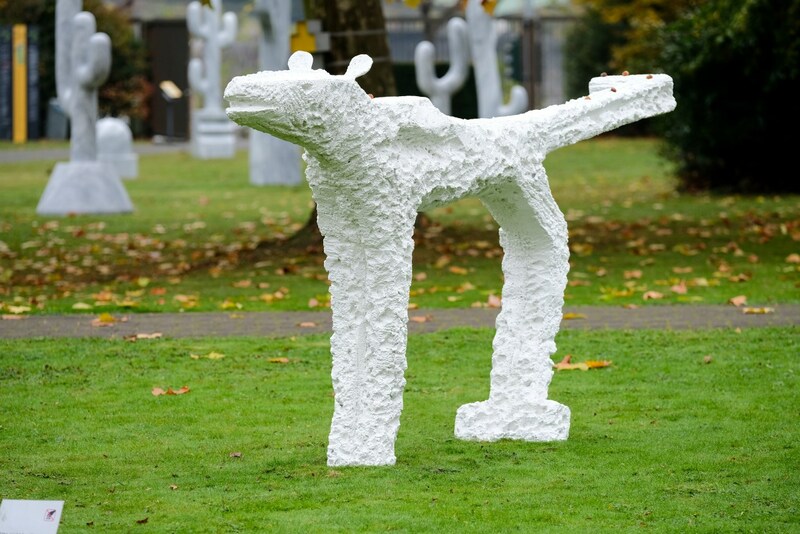 This 9th edition of KölnSkulptur is a special one since the park commemorates its 20th birthday. All the works presented by the eight artists invited for the 9th edition are newly commissioned. Following the opening, a catalogue will be published. Do you remember the “Tales of A Thousand and One Nights”? When Antoine Galland translated them into French from Arabic at the beginning of the eighteenth century, they transformed the imagination of the time. The night of the May 8, 1709, Antoine Galland made a note in his diary about an extraordinary tale the Syrian merchant Hanna Diyab had just told him: “Aladdin and the Wonderful lamp.” That night in Paris was a dramatic one, marked by riots over food shortages. Diyab arrived in the French capital during this period and turned some of the dark nights into true storytelling sessions that changed the course of a “A Thousand and One Nights”; the tales he told were added to the translation and became world heritage through literature. 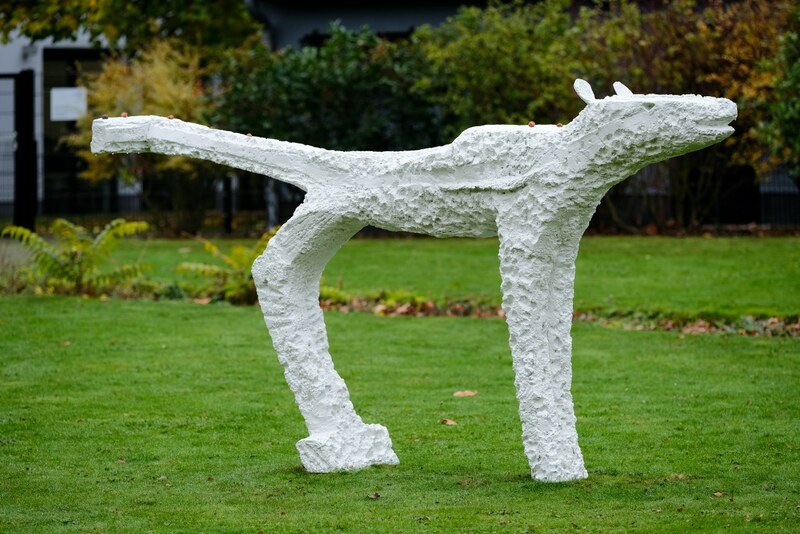 It would not be accurate to say that the commissioned works for the 9th edition of the exhibition series KölnSkulptur are like those tales, but the park is the perfect grounds to be inhabited by the forces of fiction. Like the character Scheherazade, the wise young woman who tells a story every night to the Sultan in order to survive, Skulpturenpark Köln is a continuous voice that recalls the possibilities we still have to survive, and it does so with art. The Skulpturenpark Köln is not monumental in scale, and yet it is of enormous importance. Over the last two decades, the park has been the place, the site, and the home of sculptures created for it, for you. The title of this year’s edition of KölnSkulptur—La Fin de Babylone—relates to the dream of a new beginning for culture, and therefore for society. There is no such a thing, and yet there is. On the one hand, we have the life we have, our circumstances are hard to change, our possibilities hard to manifest. And there are times when we believe the past was a better place, and others when we see the time we live in as full of possibility, openness. What determines the difference between these two perceptions is the way we feel our relative importance. Oh! you may say it is economy, but even if the economy thrives, there is no guarantee that it provides a social environment in which we feel relevant to others, influential to our community, able to celebrate and partake in the current course of events... Here, I propose a total exaggeration: to imagine that the production of these eight, new site-specific works joining the already existing ones in the parcours is key to the beginning of a new world. What I ask of you is not only to walk through the park and discover the different works but to also see their existence as the wonder that may affect the world order. This is out of proportion, because so is art. And thus the second part of the title: Mich wundert, dass ich so fröhlich bin! This sentence, full of healthy humor, relates not to us but to the effort art makes to be great every time it happens. It is art and artists that produce under the assumption that it is really worth it to intervene, and add to the park not as if it is a piece of land but the whole world. This needed “exaggeration” is what motivates a thinking about the possibility of influence, which is both simple and complex. This may be the reason why the different pieces that comprise this edition are rather unmonumental. They already embody an enormous ambition to affect the real, to touch us in such a way that every bit of skepticism of and cynicism towards the importance of art might be erased. And once liberated from the burden of doubt, we will all experience a new joy.